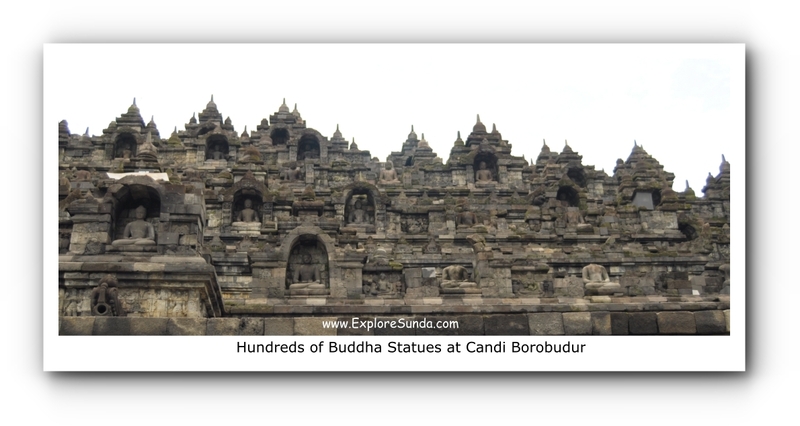 Candi Borobudur in Central Java is the world’s largest Buddhist archaeological site, as recorded by the Guinness Book of World Records. In 1991, UNESCO put this temple in its list of World Heritage Site. Borobudur temple is also one of the Seven Wonders of The World. 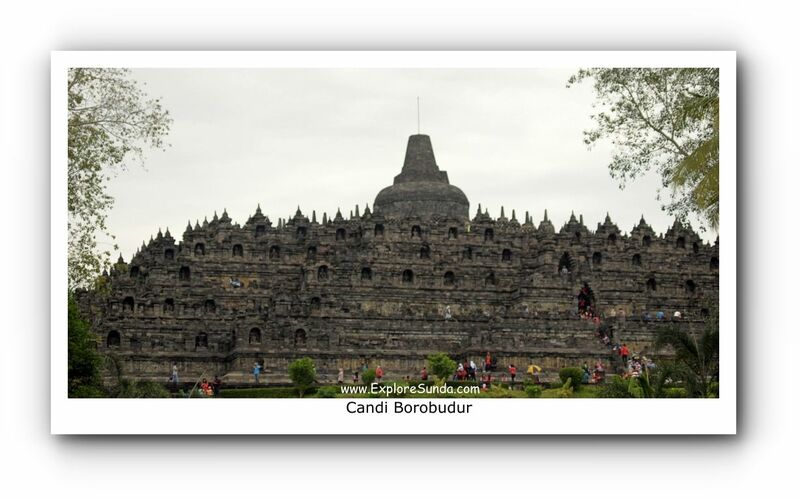 Candi Borobudur (Candi = temple) is a Buddhist shrine. 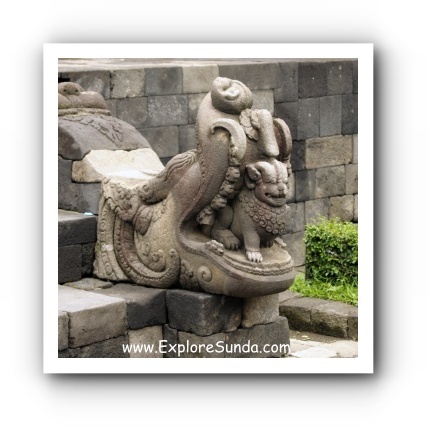 It was built during Sailendra dynasty (circa 9th century). It was fully made of stones. According to archaeologists, it was built in the shape of mandala and in the middle of an ancient lake, so it looked like a stone lotus in the middle of a pond. 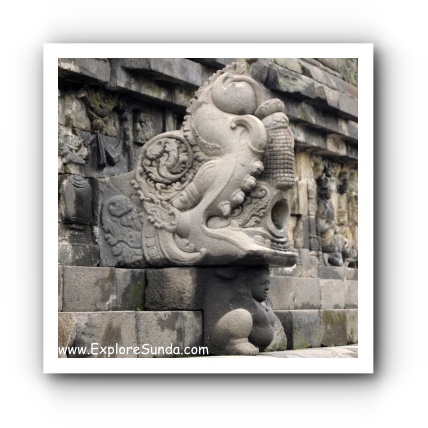 Borobudur temple consists of 3 circular levels. 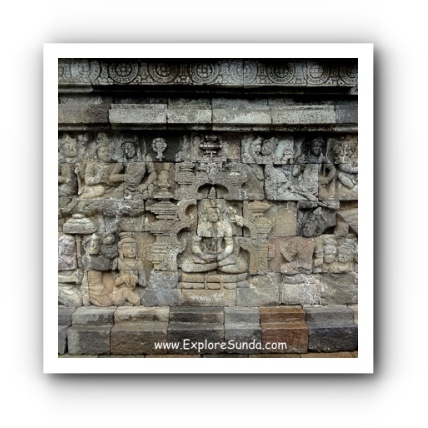 All of the wall stones are covered with relief sculpture depicting the Buddha’s teaching. The three levels represent Buddhist Cosmology: Kamadhatu (the world of desire) at the bottom, Ruphadatu (the world of forms) and Arupadhatu (the world of formlessness) at the top level. The top level has 72 stupas, each contains a statue of Buddha. If you look closely, you can see that the statues represent many poses of Buddha. Many more Buddha statues decorated this temple, there are 504 Buddha statues in total. Some intact, but many statues without some body parts, thus many of them are headless or armless. Borobudur temple is located in Muntilan, Magelang, Central Java. It is near Jogjakarta and Solo (Surakarta), two cities that rich in Javanese culture. 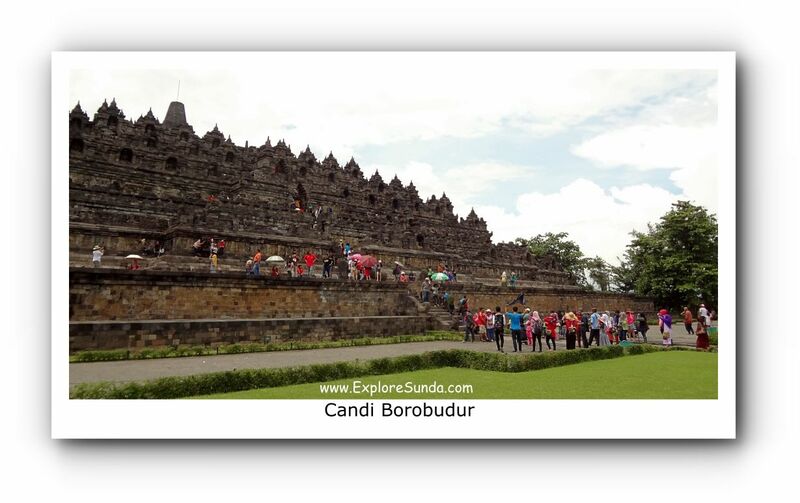 Thus, we recommend you to stay in Jogjakarta and take a one day trip to Borobudur. Then, you still can experience Jogja’s nightlife, such as strolling in Malioboro street, hunting for souvenirs and local foods. Taman Wisata Borobudur, the office that manage this temple, also manages Candi Prambanan and Candi Ratu Boko. Hence, it offers a combo ticket to visit these 3 temples in one day. Borobudur temple has a huge park surrounding it. The garden makes the temple more picturesque. Vehicles must be parked far away from the temple because too many vehicles create too much vibrations that will damage the temple. If you don’t want to walk through the park, you can buy a ticket and ride an open vehicles that will take you from the entrance gate to the backside of Borobudur. From there we only need to take a short walk (less than 50 metres) to the bottom of the temple. Reaching the bottom of the temple, you can circle it or take the stairs, one set of stair on each side of the temple. We can stop at each level and walk around it. We will be surrounded by stone walls covered with relief sculpture. The top level doesn’t have relief sculpture, it only has many stupas, each filled with a Buddha statue. Please be cautious when you take the stairs. The stone stairs are steep, they are slippery during rainy season, all of them are two ways, so people who climb up most likely will collide with people going down. In short, since so many visitors climb Borobudur temple daily, they are not in good shapes. Last time we visited Borobudur in December 2014, there was a project to cover one of the stone stairs with wooden planks to preserve the stone stairs. It is less slippery and less dangerous than stone stairs, but I think the wood will not last long, hence, it must be restored regularly. 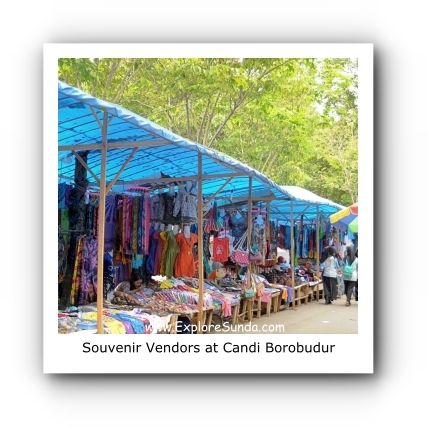 Since the open vehicle only goes one way from the entrance gate to the temple, once you are satisfied visiting Borobudur, you should walk through the exit passage, passing through various stalls of souvenirs and local foods. I heard we also can rent an andong (a horse cart) near the open vehicle station. 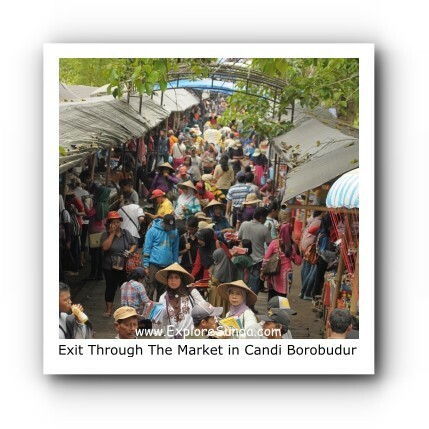 It will take you through the villages surrounding Borobudur temple to reach the parking lot. 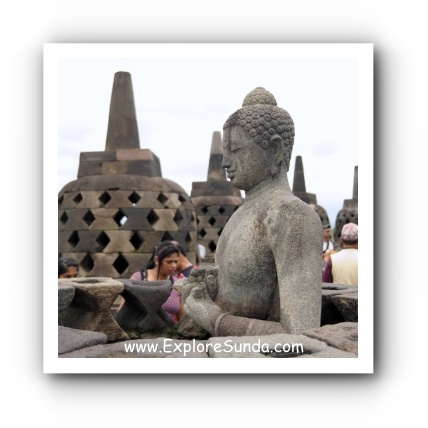 Two words that describes our visit to Candi Borobudur are gorgeous and amazing! Since we will walk in the outdoor a lot, it’s better if we come early in the morning to avoid the heat.